Let’s take a look at why you need flood insurance for your home or business and what to do before, during and after a flood occurs. Do I Need Flood Insurance Coverage? “Why do I need flood insurance when I already have home insurance?” Many people assume that their homeowners policy or business insurance will cover flood damage. That’s a costly mistake that can have devastating financial consequences if your property gets inundated with flood waters. Everyone is at risk of flooding, no matter where you live. In most cases, you must purchase a separate flood insurance policy. Most homeowners policies and most business insurance policies do not cover flood damage and do not cover flooded basements. You can get flood insurance no matter where you live. Some people fear that they cannot get coverage if they live or do business in a floodplain, or if their property has experienced flooding in the past. The good news is that you can get flood insurance regardless of your address or whether your mortgage broker requires you to get it. Don’t wait until a flood is imminent before talking to your insurance agent. There is often a 30-day waiting period after you purchase flood insurance for the policy to take effect. Create an evacuation plan for you, your employees or family members, and pets or livestock. Stay informed about your community’s risk or response plans and get emergency alerts on your smartphone, NOAA radio or other sources. Keep insurance policies, other important documents and valuables in a safe place such as a safe deposit box. Whenever possible, elevate or reinforce your home, furnace, water heater and electric panel above the flood line. Install check valves to prevent floodwaters from backing up into your drains and seal basements with waterproofing products. If you own or manage a business, you should establish a Business Continuity Management Plan (BCM Plan) that will help your organization to prepare for and recover from a flood or other disasters. What do you do if the Weather Channel is predicting floods for your area? The American Red Cross offers several helpful tips that homeowners and businesses can follow before, during and immediately after a flood event. Stay tuned to NOAA radio, apps or TV stations for weather alerts. Bring outdoor belongings indoors or tie them down, and move valuables to highest floors or shelves if possible. Stock up on extra water for drinking, washing clothes or flushing toilets. Turn off utilities and propane tanks if instructed to do so by authorities. Unplug small appliances. Avoid areas subject to flooding like underpasses, dips, low spots, canyons and washes. If caught on a flooded road while driving, exit the car and move to higher ground. Avoid contact with flood water. It may contain chemicals, sewage and other harmful substances. Don’t walk, swim or drive into flood water. Don’t use appliances that have been flooded. Boil tap water until declared safe and dispose of food that comes into contact with flood water. Notify family, friends and colleagues that you’re safe. Assist individuals who may need help such as the elderly, or people with disabilities or chronic illnesses. Check on pets and livestock to make sure they don’t wander away. Stay away from floodwater and downed power lines. Don’t use flooded appliances until inspected and declared safe. Don’t use contaminated water to wash dishes, brush teeth, prepare food or wash hands. Dispose of food that has come into contact with flood water. Discard items that absorb water and can’t be disinfected — stuffed animals, cosmetics, toys, etc. Watch for dangerous wildlife such as snakes which may enter your property after a flood. Take pictures of all damage to your home and belongings to document insurance claims. Wear protective clothing such as gloves and masks when entering a flooded home or building. Use care when moving belongings after a flood; they may be heavier if waterlogged. 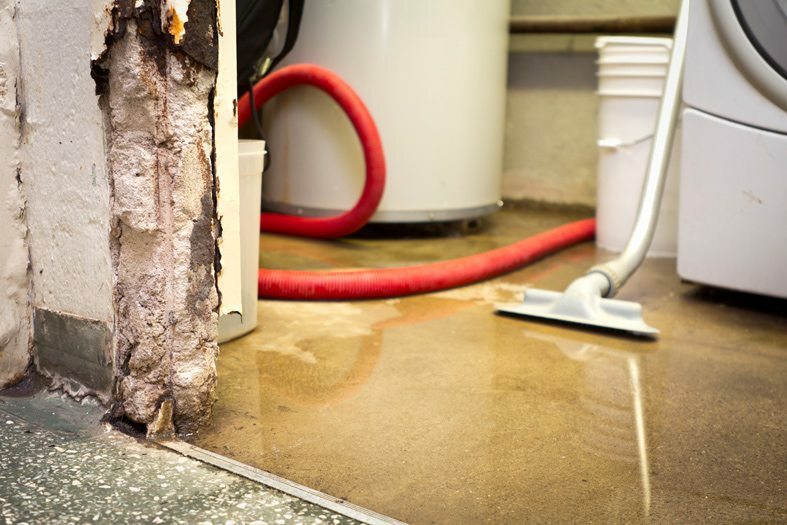 Pump out flooded basements slowly to avoid structural damage and collapse. Have damaged sewage systems repaired to avoid biohazard. Do you have questions about purchasing flood insurance for your home or business? Or how to get help with flood preparation or recovery? Learn more about our home and auto insurance services. Contact us at Pillar Insurance today. We’re here to make sure you have the right flood insurance coverage and the information you need.